The above info came from atomofish, and was edited by yours truly (contact me). The image came from impress.co.jp. 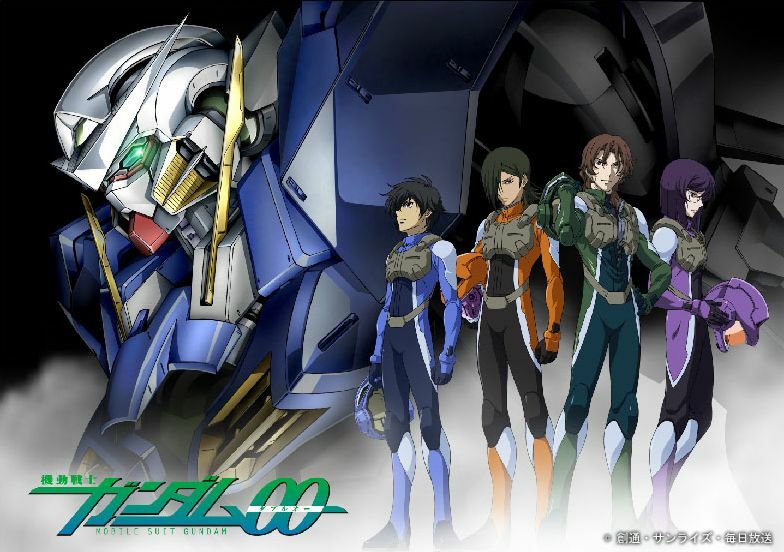 Note: Unlike the other Gundam shows Gundam 00 takes place in our timeline, Anno Domini. The latest in the long-running Gundam series (directed by Fullmetal Alchemist's Seiji Mizushima) takes place far in our future in the year 2307 A.D. Most of the Earth's fossil fuels have been exhausted, leaving humanity with one other option, solar power. Three gigantic towers are built in order to use solar energy as an alternate power source for mankind. However, they are held by the three major powers of the planet, the Union of Solar Energy and Free Nations (formally the United States), the Human Reform League (China, Russia, and India), and the Advanced European Union. Unfortunately, not everyone gets to enjoy the benefits of this new and revolutionary system, eventually leading to war. In the midst of this conflict, a mysterious Military organization known as "Celestial Being" arises. Armed with powerful humanoid machines known as Gundams, their ultimate goal is to rid the world of war. 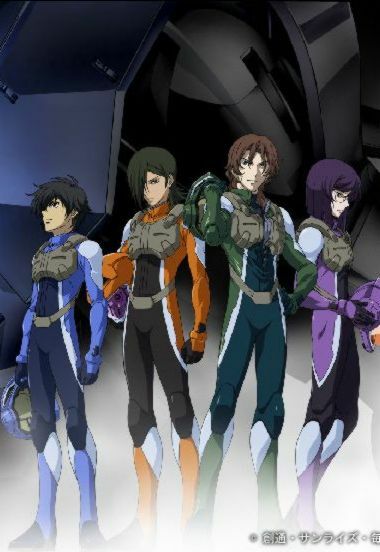 Setsuna F. Seiei, Lockon Stratos, Allelujah Haptism and Tieria Erde are the four pilots capable of using these powerful machines, and together they are thrown into this deadly conflict between the three world nations and its opposition.